This wonderfully stylish gold plated brass cuff bracelet is open at the bottom, a unisex style that is a gorgeous bangle for men or women. 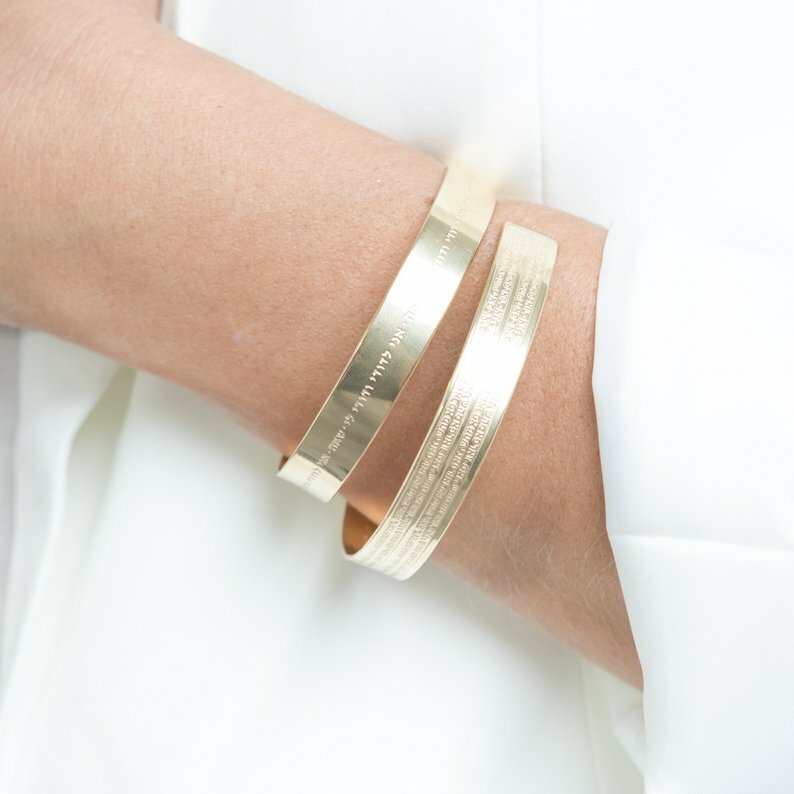 On the bracelet are the words to Ana Bekoach. 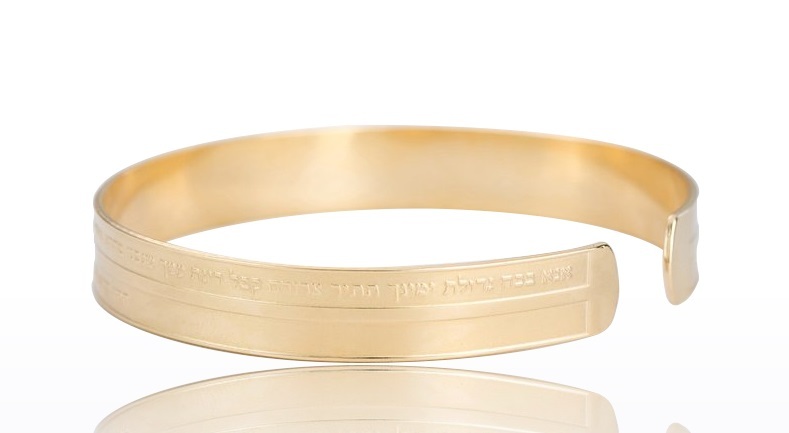 This stunning piece of Jewish jewelry features Ana Bekoach, a song from the Kabbalah, a meaningful chant that is meditative and focuses you onto the important and spiritual focus of life rather than getting entrapped in the distractions. A gold plated bangle or cuff with an open bottom, it is stylish both on men and women, and is a wonderful piece of Kabbalah jewelry.